Rating: PG13: for sequences of intense sci-fi action and violence, some sexuality and language. IMDB Synopsis: In modern day Japan, Wolverine is out of his depth in an unknown world as he faces his ultimate nemesis in a life-or-death battle that will leave him forever changed. Vulnerable for the first time and pushed to his physical and emotional limits, he confronts not only lethal samurai steel but also his inner struggle against his own immortality, emerging more powerful than we have ever seen him before. So, I don’t want to go so far as to say this is the X-Men movie everyone’s been waiting for, but it was pretty darn good. I enjoy the X-Men movies; they aren’t the best Superhero movies around, but they’re decent. 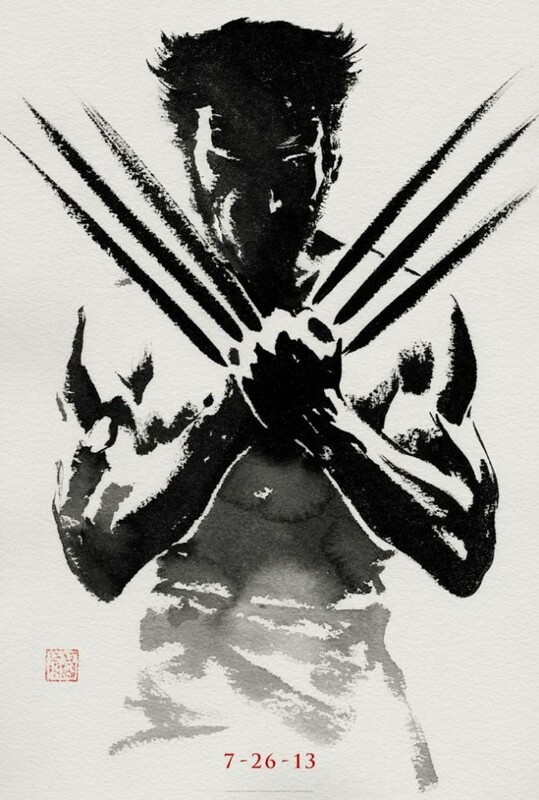 The Wolverine was better than decent. Hugh Jackman is one of those deceptively good actors. He doesn’t really get cast in the heart-wrenching, Academy-Award winning parts; instead, he gets cast as Logan in X-Men. He did get to show his acting chops last year as Jean Valjean in Les Miserables, reminding everyone that he’s a force to be reckoned with. He’s also been a well-known stage actor, having performed on Broadway and London’s West End. That being said, he is able to communicate so well through his eyes and facial expressions. He has an intensity about him that is so fascinating to watch. And poor Logan is so haunted; he doesn’t sleep at night, and when he does, he has nightmares about killing Jean. Oh Jean. No ones likes you anymore. You were ok when you weren’t crazy, but now you’re just incredibly creepy. So most of this movie takes place in Japan. I am convinced that Japan is one of the most beautiful countries on the planet. There was some gorgeous scenery and architecture in this movie. Logan is summoned there by an old acquaintance who is dying and wants to thank him for previously saving his life. Favorite character by far was Yukio. She sort of becomes Logan’s little sidekick, and is a beast with a sword (a katana? I don’t think they ever actually said what kind of sword; they just called it a samurai sword…unless that’s a type of sword…shows how much I know about Japanese culture). She was sarcastic, entertaining, smart, resourceful, awesome with a sword…I really liked that she could take care of herself. Even the love interest, Mariko, wasn’t completely helpless. Mariko was pretty one-dimensional I thought. Logan and Yukio’s relationship was much more interesting. The fight choreography was AWESOME. I’m no expert, but all the ninja stuff was really cool. Lots of acrobatics and intense sword mastery going on in this movie. Except, of course, for Logan, who was scrappy and just kind of pummeled his way through. But everyone else had an artistry to their fighting that was beautiful and exciting to watch. I thought the pacing was quite good for this movie. There was a good balance of fight scenes leading into plot development, rather than an overabundance of fight scenes and no character/plot advancement. Some of the violence was pretty painful to watch; some was downright disturbing, so if violence makes you squeamish, you may want to avoid this one. It’s not gory by any means, especially since Logan heals so quickly, but there are a few moments where I found myself wanting to look away or cringing. We’re not even gonna talk about Viper woman; she was pretty forgettable, although quite creepy. Didn’t like her much. Much better than the last Wolverine movie, this X-Men installment is a solid lead-in for the next in the series, Days of Future Past, which I am eagerly anticipating.